We have a vast range of previous work, here are just a few examples. 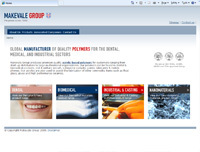 The Makevale Group is a leader in the innovation, design and manufacture of a wide range of high quality acrylic resins, who have recently won the Queens Award for Enterprise: Innovation 2010. We have worked closely with Makevale in the past few years, redeveloping their website, utilising our own photographic techniques and photos editing skills, ensuring a finish that is pleasing to the eye. 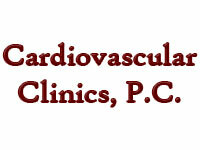 A website for a small physician group practice (Cardiovascular Clinics) in Northwest Indiana, USA. 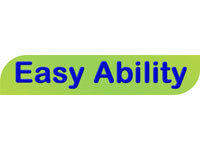 This website puts them closer to meaningfull use requirements put into place by the HITECH Act. 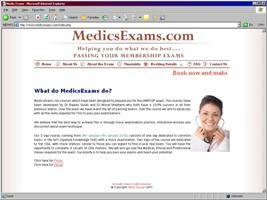 Integrating links to electronic medical record (EMR) system as well as resources and general clinic information. This site uses a clean navigation, along with an eye catching design, and a bespoke content management system. A product catalogue website using our custom bespoke content management system for mobility aids, living aids and disability equipment. Including a clean navigation system, easy social network integration, and search engine opitmisation (SEO). As it is using our own bespoke content management system, we have the ability to add modules with ease in the future including a shopping cart system. 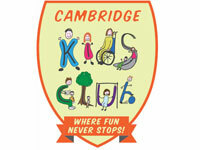 Created a webiste for a childcare provider in the City of Cambridge. Designed a sleek and professional website, including features such as contact us forms, advanced navigation, resources allowing the client to upload various documents to be downloaded. With our custom content management system the client is easily able to uplaod images and assign to different pages. Created an Email Marketing System, allowing the client to update parents on the latest news. 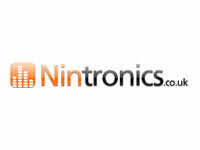 An online store specialising in the custom installation and retail of audiovisual equipment. Fully integrated ecommerce site with our very own customised shopping cart system. This included a user management system, allowing returning customers to log in and retrieve their orders. A full customised content management system to allow the client to update products with ease into a category structure, and manage orders effectively. Integration of a RSS feed, and an Email Marketing System, allowing the client to update customers on the latest news. As well as an integration of a comments system to allow users to leave feedback on products. 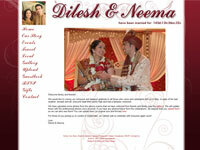 Wedding websites can be very useful for the happy couple and for all the guests. We have created several websites from a simple informative website of wedding details, to an advanced site with various features. Our wedding websites features: sleek contemporary design, countdown widget, events page displaying all events for the festivities, several information pages, forms and database management for RSVP and any other information, guestbook, background music from selection of tracks, password protecting. Our most popular feature is unlimited photographs and video gallery, allowing you to display as many photographs and videos you want with no limit! Our latest featuer also allows your guests to upload their personal photographs and videos to the site so the couple can collect everyone's photos. Our wedding websites come with our own customised content management system to manage the website as well as hosting and domain names. We can also offer other services that may be useful to your wedding planning: print any inserts/flyers you may wish to add to your invites to showcase the website as well as video editing and DVD authoring. Redesigned new website, into a portal of information and resources on cultivating a diverse and ethical workplace. Including Search engine opitmisation (SEO), installation of a news widget on website, and a full content management system to allow the client to update articles with ease into a category structure, integration of a comments system to allow users to leave feedback and interact with the website. Also involved with typesetting of monograph for publication. Designed and installed new WordPress based website. Managed Search engine opitmisation (SEO), installation of WordPress plugins, created custom design templates and developed custom plugin for the clients specific needs. As well as futher ongoing maintenance and updates. Designed a website and implemented a management system for a large community organisation in the UK. Several bespoke solutions have been implemented to fit the organisation's needs and structures. This includes management of players and teams for regular Bridge sessions, management for hire of their premises, online advertising as a revenue stream. The site also includes rich content management, photo galleries and user login. 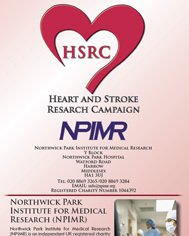 Designed and produced a logo to launch a new Heart and Stroke Research Campaign. Launched by Northwick Park Institute for Medical Research (NPIMR) which is an independent UK registered charity academically affiliated with University College London and based on the Northwick Park & St Mark’s Hospitals site in Harrow, UK. Designed and produced a brochure for a fundraising event, donation forms for two separate campaigns, business cards, pull up banners and various other promotional material. On a regular basis Masti Design provides graphic design services for HSRC including logo and artwork editing. Designed and installed new WordPress based website. Managed Search engine opitmisation (SEO), basic ecommerce, installation of WordPress plugins, created custom design templates and developed custom plugin for the clients specific needs. As well as futher ongoing maintenance and updates. Shishukunj is a world wide institution, dedicated to the welfare and culture development of children. We are currently in the process of redesigning the Shishukunj London website. We have worked with this international organisation on several projects. Various pieces of video work - creating a short emotive video to present at a fundraising dinner for Shishukunj London, creating an short film describing the work Shishuknuj International does, putting a Gujarati voice over to these clips to be played on television. Handling several technical aspects of stage shows including back drops/visualisations and music production. Design and production of several items for print including flyers, posters, leaflets. 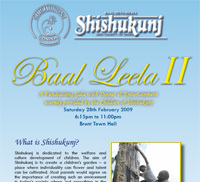 Design of several micro sites for major events, such as Shishu Mela celebrating 30 years existence of Shishukunj London. This website has lot of Flash integration, including a Flash intro to the site, as well as various animations. Along with the website, we designed the 60 page booklet that was distributed to over 3000 people that came to the event. Another website we worked on in the past is Baal Deen (Annual Children's Day) including some simple flash games, and poster designs. The KCL Charity Diwali Show is a completely non-profit event that raises money for a few chosen charities. It is now running in its 17th consecutive year, and has become well known across the country as the largest student charity event in the UK, and possibly the largest in Europe. Working together with the committee, Masti Design managed much of the graphic needs including: a website with high end graphic work, an easily updatable photo gallery, brochures. Masti Design, also handled the editing of various video footage into a sequence of videos shown throughout the show. The videos were of an "i pod" style advert, which involved professionally editing the green screen footage. Our work also included the fully authored DVD (including intro sequences and a text information section). 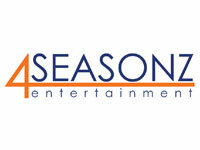 Created a business starter package for this entertainment company. 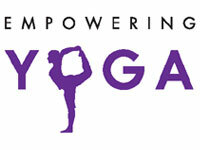 Desiged, produced and copyrighted a logo. Designed a sleek and professional website, including features such as mailing list forms, contact us forms, audio players, advanced navigation. Also designed and produced business cards at competitive rate. A cycling trip for charity organised by Veerayatan. This site includes a full complement of Flash integration with menus, photo galleries, slide shows and more. Users can register for the program online and ecommerce payment is possible. There is also an extensive backend system for administration including the ability to send rich text email shoots to the applicants. Masti Design also designed and authored DVD of the trip, involving professionally editing over 50 hours worth of video, condensing it into one hour of footage. The project also included a voiceover for an introduction clip. Website and marketing for international convention being held in the UK, organised by Young Jains UK. The website included updating of site through our content management system, various flash applications, updatable rss feed, online registration and basic ecommerce. There is also an extensive backend system for administration including the ability to send rich text email shoots to the applicants. Marketing involved online and offline marketing: including the use of several social sites, Facebook, YouTube, Twitter, etc; and also the design and printing of several offline material, posters, t-shirts, flyers, brochures. Masti Design continues to regularly provide web support and implement various web admin solutions to help manage the organisation and its various events efficiently. Including ticket management, online forms, and accepting payments online. London School of Economics: "Timeless"
London School of Economics Student Uunion presents the annual cultural show. Working together with the producers of "Timeless", an annual cultural show presented by the London School of Economics Student Union, Masti Design managed all marketing needs including: a website with high end graphic work, an easily updatable photo gallery, posters, flyers, and a professionally edited video trailer. Masti Design, also handled the editing of over 10 hours of video into a sequence of videos shown throughout the show, as well as designing and printing the programmes. Our work also included a ticket reservation system, along with other publicity material, and the fully authored DVD (including intro sequences and a text information section). This site includes a full complement of Flash integration as well as some of our custom graphic and photography work. Also installed on the website is our news and updates widget. The client uses our email marketing system to manage email lists and send out regular email shoots. Designed a logo and various offline promotional materials (flyers, leaflets, etc) as well as a simple site integrating videos and a photo gallery for this dance troupe. 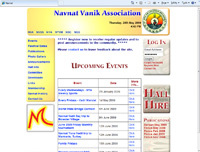 Masti Design handles and manages all email shoots for this organisation, as well as email list management. 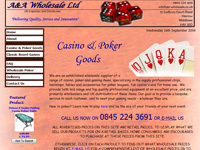 A & A Wholesale Ltd.
A company that sells various goods and services online, including wooden furniture, poker goods and taxation advice. These websites include our shopping cart system, and are powered by our content management system. Masti Design created a website for this consultancy company, which offers specialist advice to students looking for high class internships. This site shows some of our custom graphic and photography work. A student organised society from Cambridge University dedicated to the welfare and cultural interests of students in Cambridge. 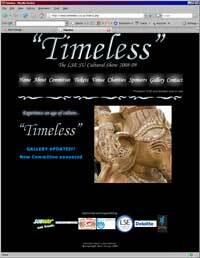 The website shows many features including our Calendar and Photo Gallery systems. Among other things we have designed posters and tickets for some of their larger events, like Dhamaka. CUHCS also organises Mastana, a huge annual cultural variety show. Our work for the show has included desining of logos, posters, programmes, the dedicated website (including a ticket reservation system), T-shirts and other publicity material, and the fully authored DVD (including intro sequences and a text information section).